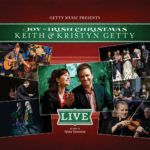 KEITH GETTY, KRISTYN GETTY AND STUART TOWNEND. © 2010 THANKYOU MUSIC/ ADM. BY WORSHIPTOGETHER.COM SONGS EXCL. UK & EUROPE, ADM. BY KINGSWAY MUSIC. TYM@KINGSWAY.CO.UK. Our Hope and Help forever.